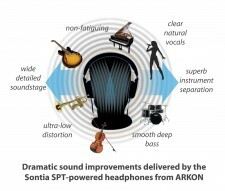 Sheffield, England, April 10, 2017	(Newswire.com) - Sontia®—creators of the revolutionary, audiophile-grade, Stable Phase Technology (SPT) for audio systems—and leading headphone manufacturer, ARKON®, have created a new type of Bluetooth® wireless headphone that uses the unique Sontia SPT linear-phase speaker correction algorithms. This development heralds a new era of premium audio headphone sound using techniques that have not been heard before in this type of device, creating a number of dramatic benefits to spatial separation, clarity, realism and bass response. 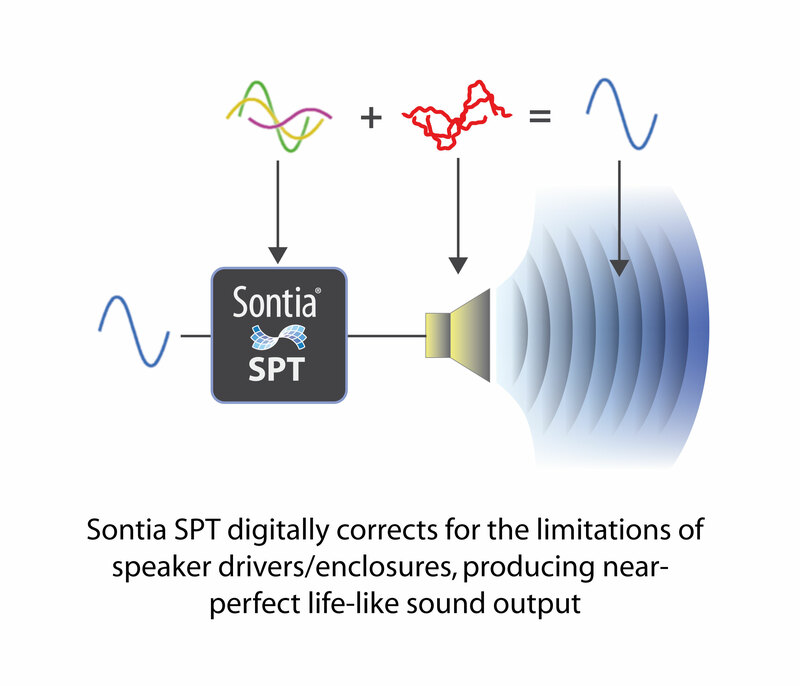 Sontia SPT is a fundamentally different and scientific approach to sound production. It uses patented, high-precision, mathematical algorithms to correct the inherent limitations of the underlying physics of the headphone speaker and enclosure—delivering an output sound that is as near perfect as the product could possibly achieve. The listener of the new, Sontia-powered, ARKON headphones hears the audio source material as it was intended—with a wide, detailed, soundstage, crystal clear natural sound, smooth deep bass and ultra-low distortion. Every detail can be heard and the listener becomes unaware that they are listening through headphones. 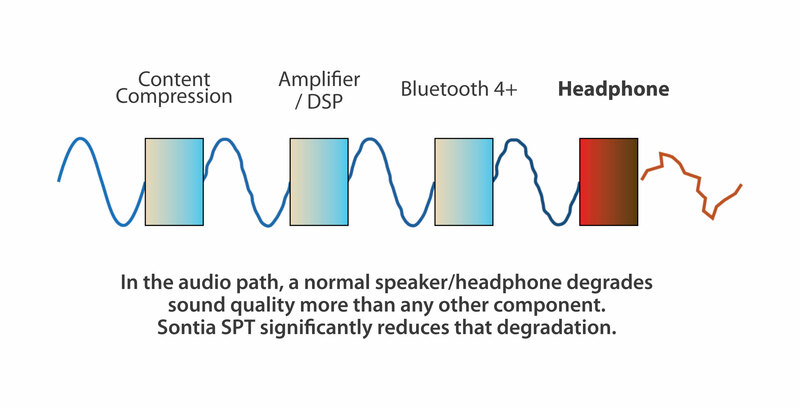 By contrast, sound reproduction in the majority of affordable headphones tends to lack clarity, with poor separation of sounds from the various instruments and suffers weak or unnatural bass. Over time, this is fatiguing to the listener. When Sontia first unveiled its radical, multi-patented SPT audio solution, listeners unanimously agreed that the results were stunning and like nothing they had ever heard before. One EETimes reviewer wrote, "[after enabling Sontia SPT] the sound changed entirely, making it more than simply '2.0' sound... it performed beautifully...bass portrayed huge resonance; the sound seemed like it was from a live performance". Sontia Founder, CEO and audio expert, Chris Vernon, explains the challenges in more detail and how Sontia SPT works uniquely to make such a dramatic sound improvement. “No matter how good the headphone design, there will always be distortions and undesirable effects as a result of the fundamental physics that is inherent in generating sound by a speaker inside a headphone enclosure. The ‘Holy Grail’ of sound reproduction has long been to remove, or correct, these, and achieve what is called ‘linear-phase’ output. The ability to do this has been difficult to master and considered out the reach of practical, affordable consumer products. However, Sontia has created a real-world, affordable, audiophile-quality solution that makes this a practical reality in everyday products. Furthermore, Sontia SPT runs on the DSPs that are already inside the majority of existing Bluetooth headphones and without any modification to the headphone design. Our technology yields sound output that is very close to the source audio and seems like you a listening to a live performance. The listener no longer feels as if they are listening through headphones or speakers. Instruments and vocals are spatially separated, sounding natural and clear, with smooth, deep bass and ultra-low distortion. We’re really excited to have worked with ARKON to create these amazing headphones." ARKON’s Sontia-powered wireless headphone design is available now to brand partners – contact ARKON or Sontia for a demonstration and more information. Sontia Logic Limited is a provider of innovative speaker correction and sound enhancement technology for incorporation into third party audio products. Sontia was established in 2004 and its technology was made commercially available for the first time in 2012 when it was incorporated into soundbars from LG Electronics. It has since been used in automotive and cinema applications as well as in ARKON’s headphones. Sontia is headquartered in Sheffield, UK, with a sales and R&D facility in China, and with sales/technical support presence in Korea, USA and Japan. Established in 1978, ARKON ELECTRONICS (Uni-Art Precise Products Ltd.) is a leading manufacturer and exporter of wired and wireless headphones, wireless speakers, wireless professional transmission systems and audio-video connection products in Hong Kong and China. With over 30 years development and manufacturing experience, ARKON has a well established, unique position in the market and has been awarded ISO9001 and ISO14001 certification. ARKON’s famous brands include: PHILIPS, SONY, JVC, PIONEER, AKG, JBL, ACOUSTIC RESEARCH, RCA, MAXELL, HAMA and THOMSON. Sontia – Jun Tan, Tel: UK +44 20 32399871, Tel: China +86 755 22664824. Creator and provider of innovative, multi-patented, Sontia 'SPT' speaker correction and sound enhancement technology for incorporation into products in consumer electronics, professional audio, automotive, computing and mobile.